Smart City, Wise City, Resilient City, Collaborative City, Sharing City, Participatory City…..the number of „X-City“ brands floating around these days are endless, nonetheless they give a glimpse of how we imagine the future of our cities. What lies behind those buzzwords? What makes a city truly „smart“ (or should we rather talk about „wise“)? What are the elements to design a city based on the needs of its citizens? How can we embrace the diversity and wisdom that lies within its citizens and their projects? How can we stimulate for activity and taking ownership in communities and facilitate the circulation of resources? 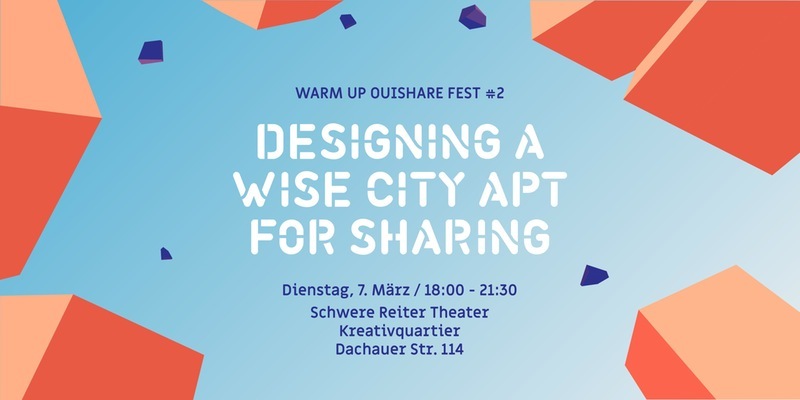 As part of the satellite event series leading to OuiShare Fest 2017, during this event we will explore and discuss how design is affecting various cities based on examples like Eindhoven (Netherlands), Seoul (South Korea) and Barcelona (Spain) as well as look together at the opportunities to transform Munichinto a wise city apt for sharing.